How Can Health & Finance Help? 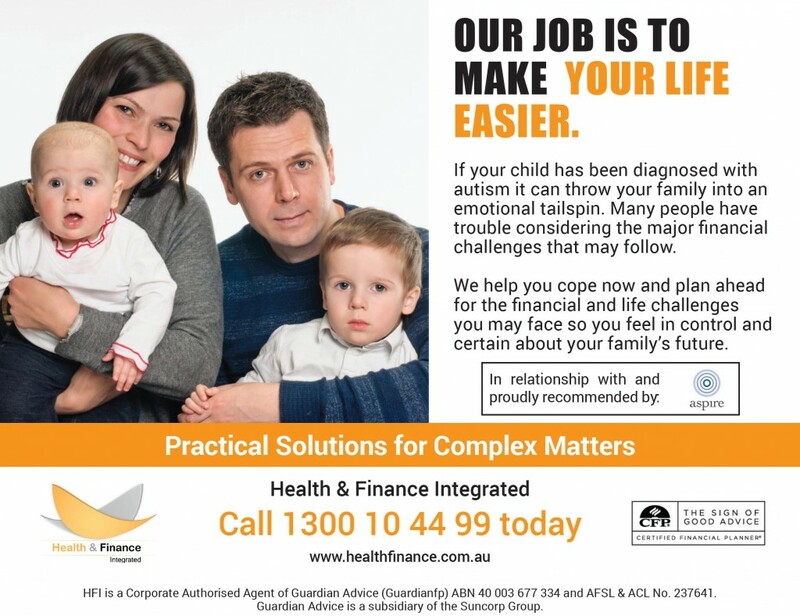 We recently entered into a partnership with William Johns and his organisation Health & Finance Integrated – a Social Enterprise financial planning service dedicated to assisting people through times of vulnerability with financial advice and guidance. Setting up a meeting with William is a great opportunity to find out a few strategies that you could introduce to make your life easier by planning ahead for the financial and life challenges you may face. Take the time to visit their website and learn more about their services. What factors contribute to a child’s improvement or lack of improvement in ABA programs? You can participate in a study to help learn more about this area if you are a mother of a child with autism that is between the ages of 2-12 years and currently participating in ABA therapy. The study involves a short questionnaire that should take up to one hour to complete. The questionnaire will ask you questions about yourself, your social support, and your child’s level of functioning before starting ABA and currently. More details can be found in this document. Sumit joined Aspire as a senior therapist earlier this year with over two and a half years experience working in Applied Behaviour Analysis on a full-time basis. She is passionate about behavioural therapy and loves working with children and their families to help them reach their full potential. Sumit has recently begun studying to become a Board Certified assistant Behaviour Analyst. We thought it might be nice to get to know Sumit a little bit better so we asked her the important questions. You can read her answers by clicking the read more link. Why did you decide to pursue a career in Applied Behaviour Analysis? I really like working with children, and believe that I can help them even more through planning and writing individualised programs to suit their needs. I chose to pursue a career in Behaviour Analysis so that I can learn more about how to help people on the autism spectrum reach their full potential. What is your role here? What would a typical day look like for you? I am a Senior RBT at Aspire and have recently started training as a supervisor which widens my responsibilities to include planning and writing client programs. I love the new challenges that this training presents me every day. On most days I work with children on a one to one basis, but I am also very busy planning and designing their programs. There is always a lot of preparation to be done before sessions that is an important part of what I do. The most rewarding part of my job is my direct involvement with children, I got immense enjoyment out of seeing their progress and helping them learn. My job makes me very happy! What do you like to do in your spare time? Do you have any interests/hobbies? I love to travel! I spend a lot of my spare time researching and planning trips to places I have never been to. For my next travel installment I would love to go to Switzerland on a romantic trip with my husband. Time to get those creative juices flowing because we are holding a colouring competition for our wonderful clients to submit some of their masterpieces of art and go in the draw to win a gift voucher to Kids Stuff Toy Store. You can download a colouring-in template below or use your own drawing skills to produce an artwork of you own creation. Simply send it in to go in the draw to win. 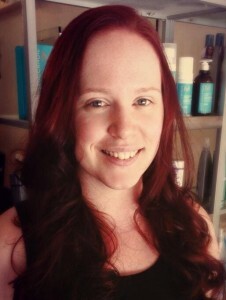 Welcome to the team Kerry-Anne! 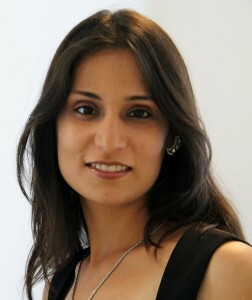 We are excited to welcome a new Speech Pathologist to the Aspire team. Kerry-Anne Sherson is from busy private practice Cheeky Speaker Speech Pathology in Western Sydney and will be joining us on a part time basis. Cheeky Speakers Speech Pathology is an assessment and intervention speech pathology service for children aged 18 months to 18 years with communication difficulties including: articulation; phonology; receptive language; expressive language; literacy and fluency. We have experience working with children who have a range of diagnoses including specific learning impairments, autism, ADHD/ ADD, ODD, Down Syndrome, Foetal Alcohol Syndrome and Velocardiofacial Syndrome as well as families from culturally and linguistically diverse backgrounds. Kerry-Anne has been working as a speech pathologist in a busy western Sydney private practice since 2009 and is looking forward to working with new families in the local area. Welcome to World Autism Awareness Month! As a clinic that has been providing therapy to children with Autism Spectrum Disorder and related disorders for over five years, we thought it was a good time to explore what Autism Awareness might look like to us; therapists, counsellors, speech pathologists and staff who have been working, helping and learning from children with ASD day in, day out. Autism or Autism Spectrum Disorder is a brain-based disorder which affects children in potentially very different ways. Depending on the treatment and severity of a child’s autism, they can experience early to life-long delays in their literacy, communication, social and behavioural development. High-functioning children who receive best-practice treatment, on the other hand, can be un-diagnosable by the time they start school. World Autism Awareness Day is one of only four health-specific United Nations days started in 2007 to compel the UN’s member states to bring attention to the pervasive and still misunderstood disorder. It exists to reduce the stigma surrounding an increasingly prevalent disorder, as well as inform nations of the importance of early diagnosis and early intervention. Aspire Early Intervention offers Early Intensive Behavioural Intervention (EIBI) programs to children living in Sydney, Brisbane, Canberra and across areas of rural New South Wales. Early Intensive Behaviour Intervention (EIBI) therapy is the only Early Intervention therapy the federal Department of Families and Housing rate as effective in treating ASD based on ”established research evidence”. 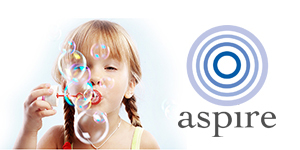 At Aspire we see the benefits of early diagnosis and intervention every day. Unfortunately, the benefits of intervention as well as the need for ongoing support for children with ASD is poorly reflected in the funding supplied by Australian government to children with ASD. While $12,000 is offered to families of children diagnosed with ASD to seek early intervention, this funding is only available to children under the age of six for two years. Only half of the children with ASD are diagnosed before this cut-off age. School-age children are qualified to receive Medicare rebates on 20 sessions of related therapy throughout their lifetime. After 13, children find themselves without any funding for intervention, support or help. Unlike a pill or a preventative shot Early Intervention functions by helping children catch up on their delays in a gradual, personalised and methodical manner. It requires empathy, human connection, applied research, dedication and time from the therapists and families involved. It is simply the nature of Early Intervention that makes it, under current government funding schemes, far out of reach from the families and children who need it most. On World Autism Awareness Day Aspire asks that early intervention becomes more accessible and equitable. The earlier, the better. Lexi Wilson, the Literacy Centre‘s director talks about our latest parent-teaching program. Early Intervention Programs require a lot of time with therapists, which for some families just isn’t feasible. Often parents who do implement early intervention would just love to know exactly what methods EIBI practitioners are using to help their children learn. These are concerns that Early Intervention therapists doesn’t take lightly; differences in family circumstances can help us think about flexible and alternative ways we can make effective therapy accessible to children. Our First Steps program is a sixteen week curriculum that was developed exactly for these reasons.We hope to give parents of children with ASD a solid introduction into the world of Early Intervention, as well as de-mystify diagnosis of Autism Spectrum Disorder or developmental delay.This program is designed for families who want to gain their own skills in behaviour management, or, who are not able to run an intensive Early Intensive Behaviour Intervention home program for lifestyle or monetary reasons. It provides an overview of EIBI methods, understanding assessments and supporting your child in their educational settings. Each program is highly individualised and are based on your child’s delayed skill areas or behavioural issues. It involves one-on-one parent training as well as rigorous assessment of child’s needs so that a targeted program can be applied at home. The greatest benefit of parent-directed programs is that they are family focussed, so the curriculum can react to the particular concerns and goals of those closest to a child. Prioritising different skill sets at different times, such as self-care skills or pre-academic skills, can help a family make the most of their recourses to encourage their child’s development. Children that will benefit from their parents’ involvement in First Steps, include those with a diagnosis or difficulties relating to an Autism Spectrum, associated disorder or developmental delay. Aspire’s First Steps program is covered by both FaHCSIA funding and Better Start funding.